The Alaska Marine Highway System is part of the fabric of Alaska. 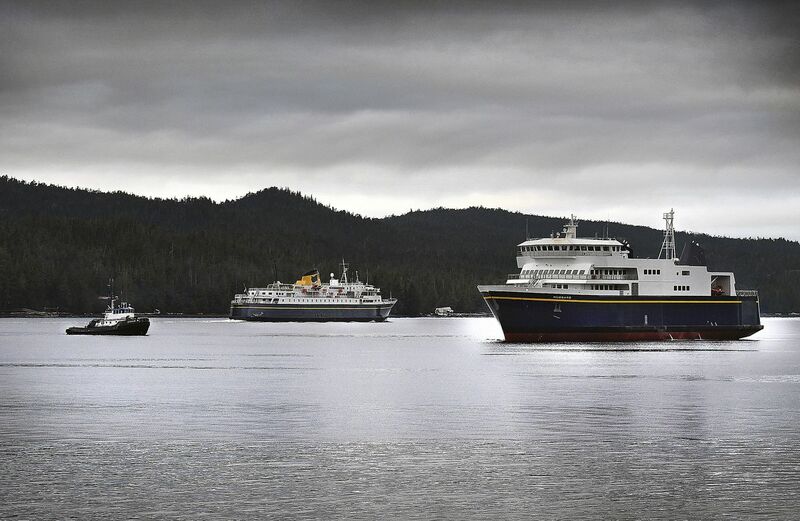 Unlike other parts of the world that are connected by bridges and roads, many parts of coastal Alaska are linked by our ferry system. This system provides a vital transportation link, bringing groceries, medicines, vehicles, and families to 33 communities. This system is as essential as any other highway in Alaska. Like the Parks, Seward, Richardson, and Glenn Highways, this system connects communities. This system brings students to basketball tournaments. This system carries elders to doctor appointments. This system brings food and goods from the Lower 48 and other parts of the state to homes and families in rural Alaska. This system helps Alaskans thrive. Importantly, this system also adds a layer of safety and protection to our state. Yet if lawmakers approve the governor’s proposed budget, this system and support network will be washed away. Under this plan, the current administration has said the ferry system could shut down on Oct. 1. What would happen to Alaskans on the road system if in October, the state were to suddenly shut down the Parks, Seward, Richardson and Glenn Highways? What would happen if in October, the state were to stop repairing bridges and permitting traffic on any of the major thoroughfares? Now imagine the impacts to coastal communities in October when the Alaska Marine Highway System no longer provides service. This action is short-sighted. Once dismantled, it will be costly and difficult to restart or rebuild our ferry system, and all the investment over the decades will be lost. It is also unnecessary. The Alaska Marine Highway System Reform Project brought together Alaskans from across the state to look at ways of improving its viability and quality of service. The committee made thoughtful, professionally supported recommendations based on extensive research, analysis and an open public process. There are workable ideas out there now for enhancing the current system. One of the most beautiful things about Alaska is the close-knit communities and genuine care Alaskans have for one another. Those who disagree politically will dig one another out of a snowstorm, or come to another’s aid if there’s a stranded canoe. Living in remote, harsh conditions forces us to pay attention to each other and step up in times of need. Alaskans: This is a time of need. Please pay attention and speak up. Our communities, our ways of life, and the future and fabric of our state is in jeopardy. Now is the time to make your voice heard and say how important these services are to you and your community. Legislators: Please think about the needs and well-being of all Alaskans. We are all connected. Please think about Alaska’s future as you make difficult decisions this legislative session. Governor: Please think about the resounding impacts your decisions have on Alaskan communities and lives. Please pay attention to all Alaskans as you make decisions that threaten the fabric of this state. Heather Parker served as policy director for Gov. Bill Walker in 2018. She is an attorney who lives and works in Juneau.